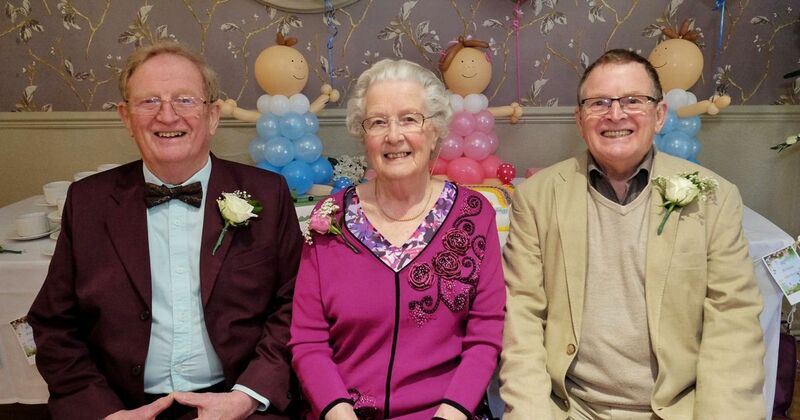 Britain&apos;s oldest mixed-gender triplets have turned 80 – and say they have never had an argument. Gillian, Roger and John Hill were born within eight minutes of each other at around midnight on April 9, 1939. It was an era in which triplets were rare – and they even received a congratulatory letter from King George VI. The trio had nine older siblings and now have more than 100 children, grandchildren, nieces and nephews. The triplets, from Bristol, grew up with parents Hilda and Jack in a house with three children to a bedroom and no bathroom. They were forced to share a bed and lived through The Blitz – but they described their early years as happy. Roger said: “A row of terraced houses at the top of our street was wiped out by a bomb one day [during the war]. But family life was tragically disrupted when dad Jack died of kidney failure in 1953. Gillian says the loss gave her extra freedom during her adolescence. Roger had a career in marketing and John in insurance, while Gillian worked at an aerospace company. Each of the triplets has left Bristol – Gillian for Cornwall, John for Exeter and Roger for the Chew Valley, in Somerset. All three had children of their own, who are among the huge number of direct descendants of Hilda and Jack.